Just Go Live is the first app that allow users to leave a Live Video Comment instead of a traditional text comment. 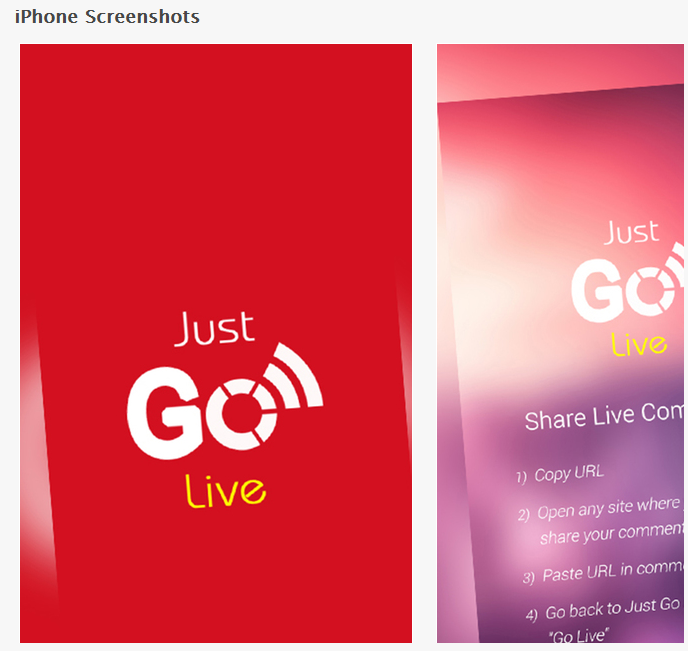 Just Go Live is also the first app that allows users to go live visually or privately. (Private is for those who do not want to be seen but want to be heard) Just Go Live with Live Comments is such a cool app, it allow users who want to be seen or live stream privately for wishing a friend a Happy Birthday, Get Well Soon, or Commenting on sports, politics, social issues etc.